You've spent your ad dollars to create an effective TV commercial, so make the most of your money. Posting your commercial to YouTube is usually free unless you choose to purchase a sponsored ad unit, and you get a longer shelf life on your ad even after your run on local airwaves is over. Send an invitation by mail or Email to your customers inviting them to watch your commercial on YouTube. If you have a newsletter mailing list or contact Email addresses, send a personal Email that announces your commercial and where they can see it. Just be sure your customers have given the okay to be contacted so your company isn't considered a spammer. You always want to make sure you send any bulk Email responsibly. Millions of people visit YouTube and the site's traffic consistently fall in the top five of every online ranking system. Even if you live in Small Town, USA, selling local products, you have the ability to reach new customers by taking your ad campaign outside of your immediate area. You may or may not get a sale because someone saw your ad on YouTube but you could generate a lot of buzz, which leads us right into the number three reason to post your commercial on YouTube. There are a couple of ways you can get even more exposure for your company by posting your ad online. Make a PR effort after your ad is posted. Send press releases to local media outlets announcing that your company is taking its ad campaign online with your TV commercial being available on YouTube. This is a good story for newspapers, magazines and Web sites that cover local interest stories. Don't ignore your TV markets, though. While this is not really a story that's a right fit for TV coverage on its own, you never know when a morning show needs a guest to talk about online advertising and what you've done. You also want to keep tabs on how your ad is doing. When you reach a milestone, such as 10,000 views, a spot on the "Most Discussed" list, being featured, etc., send out another press release to announce the latest news. 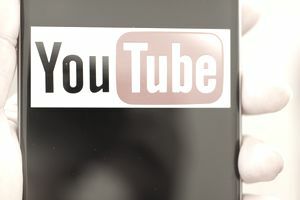 Be aggressive with your PR efforts to get the most out of your YouTube ad campaign. You can get paid when people watch your ad on YouTube if you qualify for YouTube's Partner Program. You'll want to stay on top of your PR push after your video is posted. The more people that view your ad, the higher your commercial's rank climbs, the more potential you have to earn money back on what you've already paid to have created. And if your ad goes viral, it could really bring home the bacon! Your Web site helps advertise your company. Take your ad campaign to a whole new level by allowing your customers to watch your commercial just by visiting your Web site. When potential customers come to your site, they need to be able to see your products, prices and answer any of the questions they have fast. If you have people watching your commercial through your own site's bandwidth, that commercial is hogging the speed and slowing down your site. Most small business Web sites don't have a lot bandwidth to support videos being watched because they don't need it. After your ad is on YouTube, though, you have the option of linking to your ad or embedding it on your site. YouTube covers the bandwidth and your site continues to run smoothly and unaffected. Adding a link or embedding it on your site helps your video views. Since the commercial's hosted on YouTube's server, you get credit for every view. This also increases your commercial's rank, which helps you in your PR efforts as well as your potential to earn money if your ad becomes popular enough. Many companies are missing out on a unique opportunity to attract customers. Don't post your ad and call it a day, though. Be sure to follow up with an aggressive PR push and track your ad's success. Not only do you get extra mileage out of your commercial, you never know who's watching.